One of the best spring blossom trees, Prunus x blireana is a cross between the Japanese apricot (Prunus mume) and the purple-leaved plum (Prunus cerasifera 'Pissardii'). 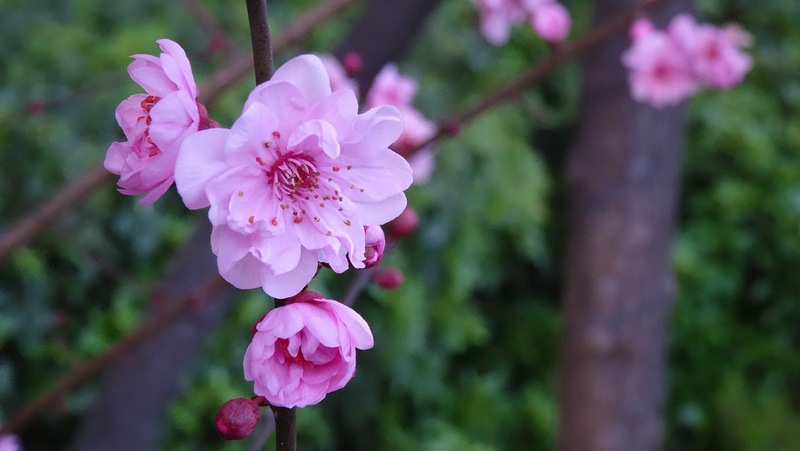 The common name is the double flowering plum. It is a deciduous tree growing to around 5m tall. It has slender, arching branches, double mauve pink flowers, and reddish purple leaves which turn purplish green in summer. Flowering time is from mid August to mid September in Australia. This hybrid is sterile, so does not produce fruit. What a lovely take on this spring blossom! love the colors! The Spring Blossom is wonderful. It depends what someone wants - a beautiful hybrid flower, or plums:) Thanks for sharing! lovely blossoms, gorgeous in colors and details. Beautiful flower, purple is my favorite color. What a nice and lovely blossom! my plums have not bloom yet.